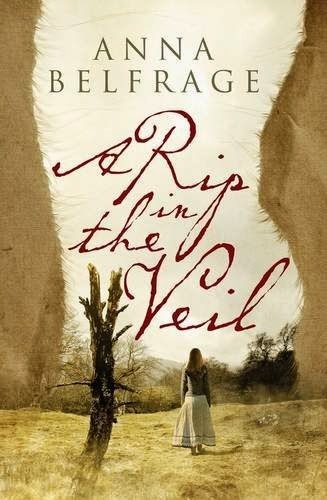 'A Rip in the Veil' is the first book in The Graham Saga, Anna Belfrage’s time slip series featuring time traveller Alexandra Lind and her seventeenth century husband, Matthew Graham. On a muggy August day in 2002 Alexandra Lind is inexplicably thrown several centuries backwards in time to 1658. Life will never be the same for Alex. Alex lands at the feet of Matthew Graham – an escaped convict making his way home to Scotland. She gawks at this tall gaunt man with hazel eyes, dressed in what looks like rags. At first she thinks he might be some sort of hermit, an oddball, but she quickly realises that she is the odd one out, not him. Catapulted from a life of modern comfort, Alex grapples with her frightening new existence. Potential compensation for this brutal shift in fate comes in the shape of Matthew – a man she should never have met, not when she was born three centuries after him. But Matthew comes with baggage of his own, and at times it seems his past will see them killed. I suppose I should start this review with a disclaimer as I have a bit of history with the author. You see, I coordinated the blog tours for books two through six of the series with HF Virtual Book Tours. I have a policy in place that I don’t review books that I’ve worked on as it could be construed as a conflict of interest. However, since I didn’t technically coordinate the tour for the first book and I was dying to see what all the rave reviews were about, so I went for it. And I’m darn glad I did because it was so much fun! Time slips are fast becoming one of my new favorite types of reads, and Anna Belfrage really knows how to write ‘em! The oh-so modern Alex is thrust into the past via a “rip in the veil” of time, landing herself back in 1658 Scotland and smack dab into Matthew, an escaped prisoner on the run. The first encounter between the two makes for a very interesting and amusing scene as you can imagine, as they both try to figure the other one out! Alex and Mattew band together and ultimately fall in love. Their chemistry is very palpable to the reader and both characters are extremely likable. I felt very connected to Alex; she’s feisty and passionate and doesn’t know when to keep quiet. I can totally relate to that! Not only are the characters fleshed out well, but the dialogue and atmosphere was spot on. 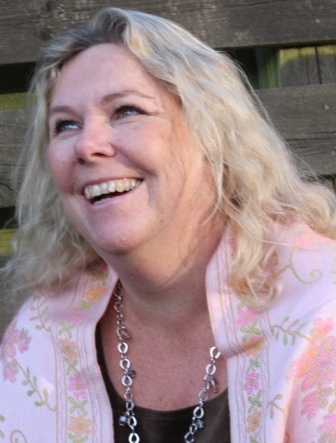 Belfrage is an extremely talented writer, something that I had seen examples of in the phenomenal guest posts she wrote for her blog tours, but now that I see it fully I appreciate it all that much more. So, if you’re like me and enjoy a good ole’ time slip novel with a touch of humor and romance with a hunky front man and sassy leading lady, A Rip in the Veil is the book for you! And if you like it (which I know you will) there are seven more books in the series left to devour, so sit back and escape reality for a while. You won’t be sorry! Disclaimer: I received a copy of this book via the author in exchange for an honest review. That's fabulous, Kimberly! I think you'll really enjoy it and I look forward to hearing your thoughts! I just signed up to follow her blog. This is exactly the type of story I enjoy. I look forward to reading this one and the others in the series. Thank you for the review and letting us know about this author.